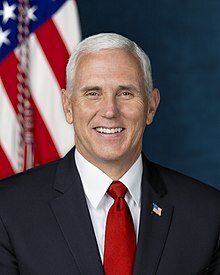 U.S. Vice President Mike Pence addressed attendees at the 2019 CUNA Governmental Affairs Conference earlier today. The vice president, whom CUNA President/CEO Jim Nussle described as “a friend to credit unions,” made his comments during the second day of the general session. The CFPB has published the 2019 list of rural and underserved counties and a separate 2019 list that includes only rural counties. The bureau also updated the rural and underserved areas website tool for 2019.